The m5 C302 has now dropped further on Amazon and B&H, and now costs only $580 ($70 off). The C213SA (without a stylus) has now dropped further on Amazon, and now costs only $299 ($50 off). 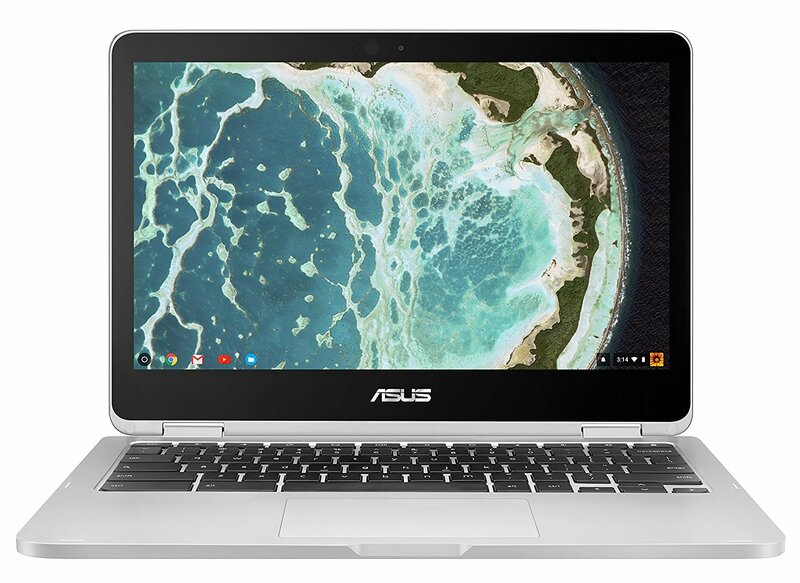 The ASUS Chromebook Flip lineup includes some of the best Chromebooks on the market, like the C101PA and C302. Some models are on sale right now, including the C302 m5 variant ($619), the C101PA ($269), and the C213SA ($319). 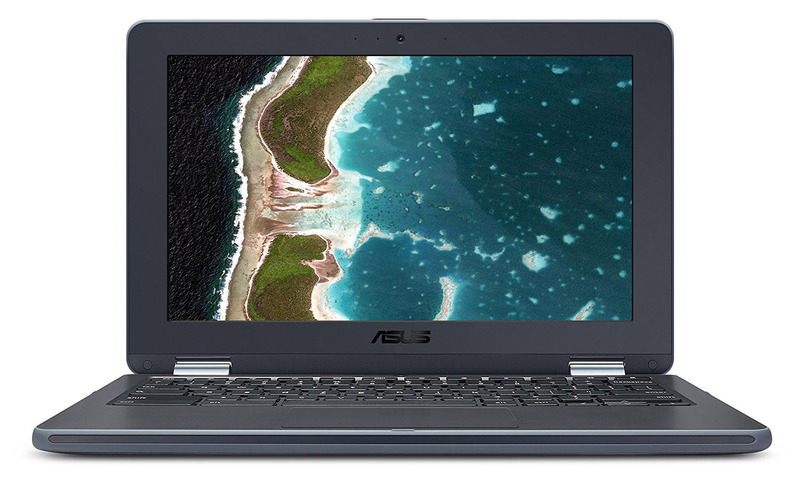 The C302 is the highest-end Chromebook that ASUS sells, and it's comparable to the Samsung Chromebook Pro. The version on sale is the newly-released m5 model, which is powered by an Intel Core m5 processor, as opposed to the usual m3 chip. You get 64GB of internal storage, microSD expansion (which isn't accessible to Android apps yet), 4GB of RAM, and a 12.5" 1080p display. Both models of the C302 support the Play Store. I've been using the m3 C302 for a few months, and for the most part, I really like it. The backlit keyboard and spacious layout are major advantages over the Samsung Chromebook Pro, but the touchpad does feel a bit stiff. You can buy the C302 m5 for $619 ($30 off) at Amazon, Best Buy, and B&H. 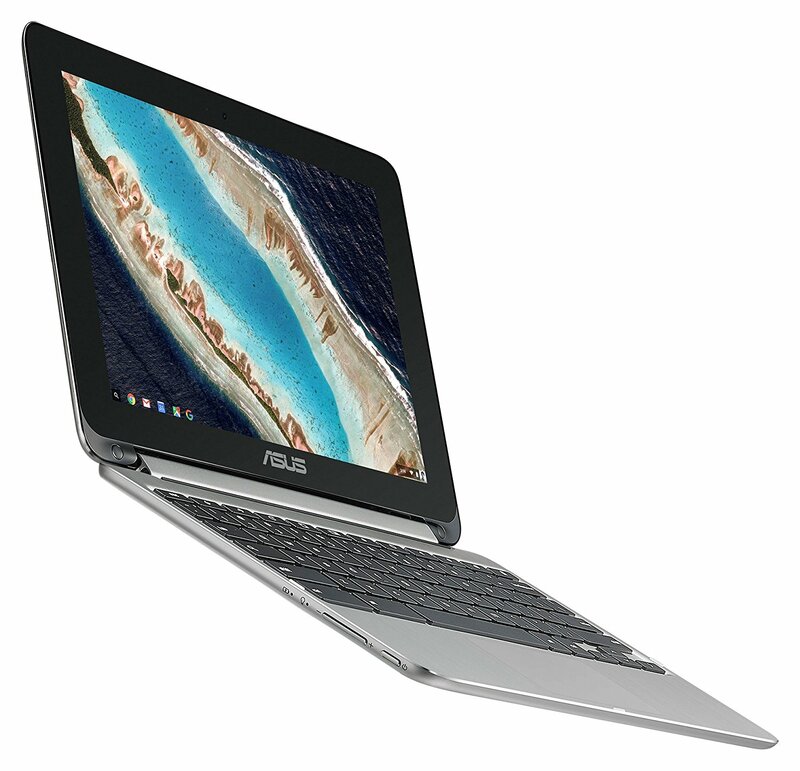 The 101PA is basically the successor to the original ASUS Chromebook Flip, released in 2015. Instead of the C302's Intel chip, this has the ARM-based Rockchip OP1 processor. There's also 4GB of RAM, 16GB of internal storage, two USB Type-C ports, two USB Type-A ports, a headphone/microphone jack, and a microSD card slot. That's even better I/O than the C302, which has no Type-A ports at all. Ryne previously reviewed the C101PA, and while he thought it was a good laptop overall, the 1280x800 resolution was a major sore point. There is support for Android apps, so it makes a great Android tablet replacement, especially considering the smaller size. If you can get over the low resolution, it's just $269 ($30 off) at Amazon, B&H, and Abt. The C213SA was released earlier this year, and was primarily designed for the educational market. It's essentially a more rugged version of the C101PA, with a matte black design and an Intel Celeron N3350 CPU instead of a Rockchip. There's also an added webcam on the keyboard, so when you flip it around into tablet mode, you get a rear-facing camera. As with all the models above, the C213 supports Android apps. The screen resolution is also bumped up to 1366x768. 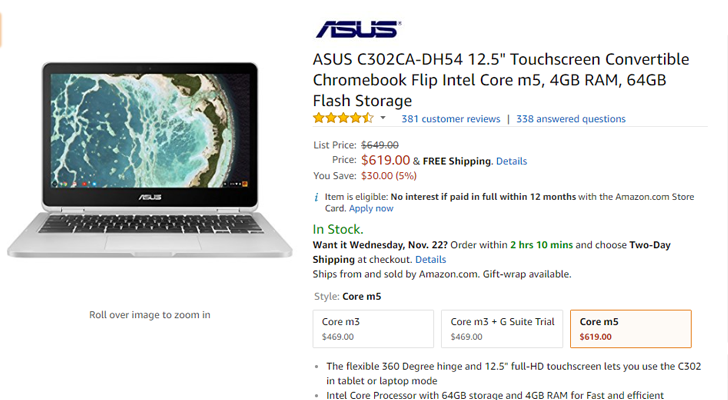 While we haven't reviewed this exact model, other sites are quick to point out the so-so performance and higher cost (when compared to the C101PA). The model without a stylus is $319 ($30 off) from Amazon, Best Buy, and Adorama. The model with a stylus is $369 ($30 off) from Amazon and Best Buy.